Features a working desk, TV and minibar. This room can accommodate up to 2 adults + 1 child or 3 adults. 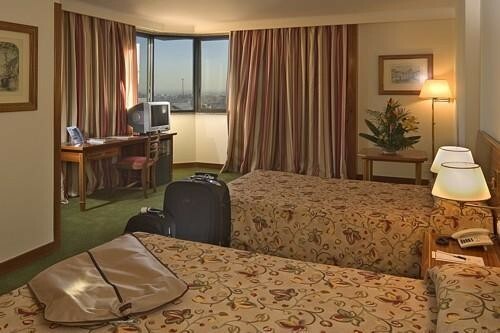 This spacious room is located on the top floors of the hotel. It can accommodate up to 2 adults + 1 child or 3 adults. 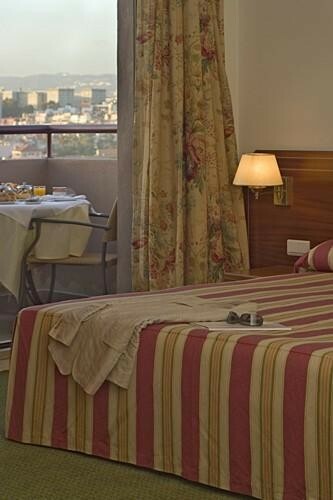 This spacious Suite is located on the 9th or 10th floor and offers a separate living area and 2 terraces.